The fifth guidebook in MAS series of practical guides for media managers focuses on Podcasting. The purpose of these guides is to help media decision-makers understand some of the key topics in digital news provision, and give them practical support in adopting concepts that will improve their operations and streamline how their companies work (see Guide #1: Product Management for Media Managers, Guide #2: Launching a paywall: What you and your team need to know, Case studies on paywall implementation, Guide #3: Best Practices for Data Journalism and Guide #4: Facebook News Feed Changes: Impact and Actions). 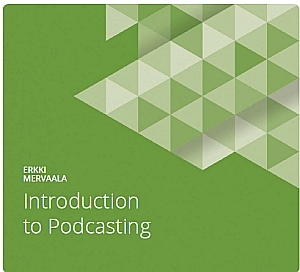 Guide #5: Introduction to Podcasting, by Erkki Mervaala. What benefits can a podcast bring to you? Planning your production and what you should know before beginning? What equipment and software you need to create a podcast? Please download and share the guide . We would love to hear from you – send any comments or suggestions to us at mas@mdif.org . About author: Erkki Mervaala is a former Program Manager and Digital Media Specialist for Media Development Investment Fund. He is also a member of the award-winning Finnish climate journalist collective Hyvän sään aikana and works as the managing editor for the climate news website of the same name. Mervaala has worked as a Central Europe foreign correspondent for several Finnish magazines and newspapers. He has also worked as a screenwriter for Yellow Film & TV, web developer and UI/UX designer. He has been a podcaster since 2008.